A 2 year old presents to ED with pyrexia – he’s pulling at his ear constantly in the waiting room. You know where this heading, but are you supposed to treat him with antibiotics or not? Do you know the difference between AOM and OME? The definition of acute otitis media requires three equally important components, which must all be present. There is considerable overlap between presenting signs and symptoms of upper respiratory illnesses and acute otitis media, especially in the preverbal child. 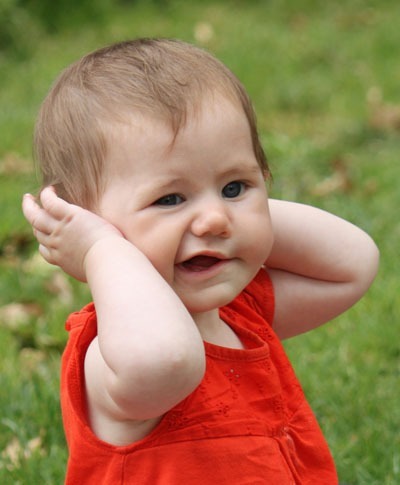 The peak incidence of otitis media is between 6 and 18 months of age. Neonatal acute otitis media is uncommon. 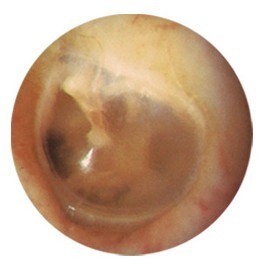 Most effusions of the middle ear in this age are sterile and develop in the in utero environment. Environmental insults, such as tobacco smoke, lack of breastfeeding, and exposure to children in day care who frequently receive antibiotics, may lead to episodes that would not otherwise occur. Prevention of the disease burden is possible through the use of newer vaccines such as the contemporary pneumococcal vaccine that includes protection from seven serotypes of Streptococcus pneumoniae. What are the most common bugs? Neonates may be affected by gram negative organisms and Staph aureus. The role of viruses is unclear. These data were obtained in the post-pneumococcal vaccine era and represent a change from before this vaccination program was initiated. Of importance is a major change in the increased prevalence of β-lactamase organisms such as M. catarrhalis (almost 100%) and nontypeable H. influenzae (35% to 40%). What is otitis media with effusion (OME)? 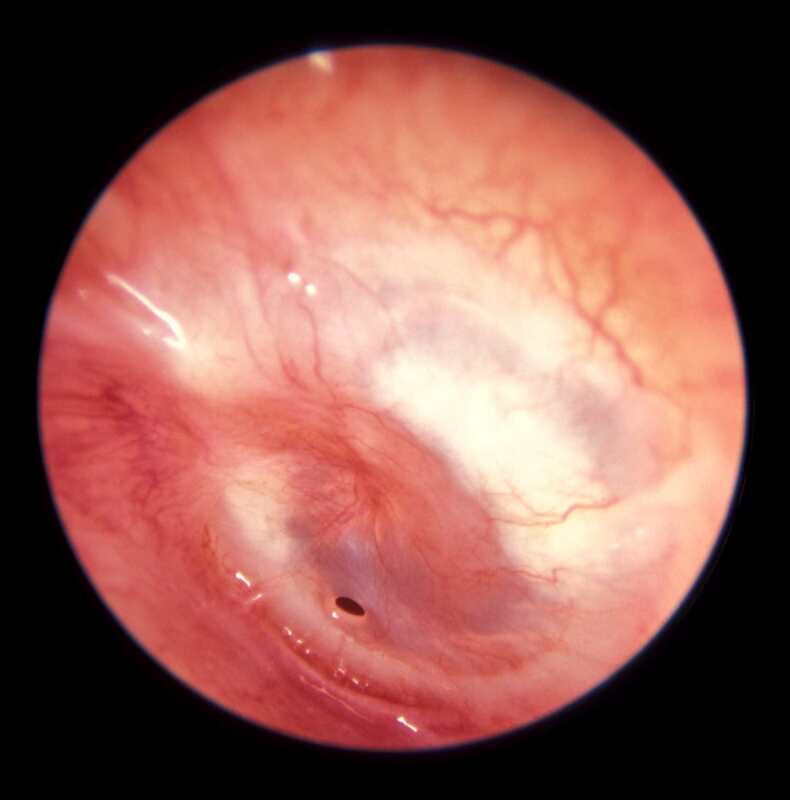 OME usually follows an episode of acute otitis media, and both are processes of the same disease continuum. 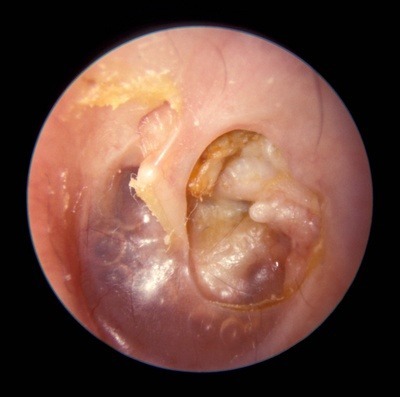 OME may persist for weeks to months after an episode of acute otitis media. Close to 90% of episodes of OME resolve spontaneously after an acute otitis media episode is diagnosed. Guidelines recommend watchful waiting without immediate use of antibiotics for children with uncomplicated otitis media with effusion. Children with permanent hearing loss, craniofacial anomalies, or underlying speech delays may receive immediate antibiotics or have close outpatient follow-up by the primary care clinician. Consensus guidelines strongly recommend the treatment of pain associated with acute otitis media. Prescribing only an antibiotic for the treatment of acute otitis media is inappropriate care, as antibiotics are not analgesic medications. The primary systemic analgesics and antipyretics used to treat acute otitis media are ibuprofen and paracetamol. In one randomised trial comparing ibuprofen, acetaminophen, and placebo, only ibuprofen was found to be superior to placebo. Opioid medications may be used at night during the sleeping hours, although no studies have demonstrated the effectiveness of this medication class for the treatment of acute otitis media. High-dose amoxicillin, 80 to 90 mg/kg PO per day divided into two daily doses for 5 to 7 days, is the first-line recommended antibiotic for the treatment of uncomplicated acute otitis media. The higher dose achieves concentrations in the middle ear that exceed the minimum inhibitory concentration for highly resistant forms of S. pneumoniae, the most common bacteria found in acute otitis media. M. catarrhalis and nontypeable H. influenzae, although the addition of clavulanic acid increases the likelihood of vomiting and diarrhoea. IM ceftriaxone for three daily doses may be considered if children cannot tolerate oral medications. Children with a known allergy to the penicillin class may consider the use of a macrolide agent, such as azithromycin. A 10-day course of antimicrobials has been recommended for decades without any evidence to support an exact duration of therapy. Shortened treatment regimens (5 to 7 days) may reduce resistance to antibiotics and reduce side effects by decreasing total drug exposure. What is the evidence for treatment? Although a majority of patients receiving placebo also recovered spontaneously (53% in Hoberman et al, 55% in Tahtinen et al), a physician cannot predict at the onset of illness which patients will improve without antibiotics. Even in patients with non-severe illness, antibiotics were associated with a decrease rate of treatment failure. As in the photo below, there can still be a perforation that does not heal with in a few weeks. This is considered to be a ‘natural myringotomy’ and usually heals well. Only GP follow-up is needed. The infection can extend into the mastoid (posterior to the middle ear). It can cause bone destruction, brain abscess, meningitis, VI and VII nerve palsies, lateral venous sinus thrombosis. It is very unlikely if the ear exam is normal as it is linked to OM. Cystic cholesterol lesions are linked to chronic OM and can erode local structures. Conductive deafness can follow a persistent effusion. 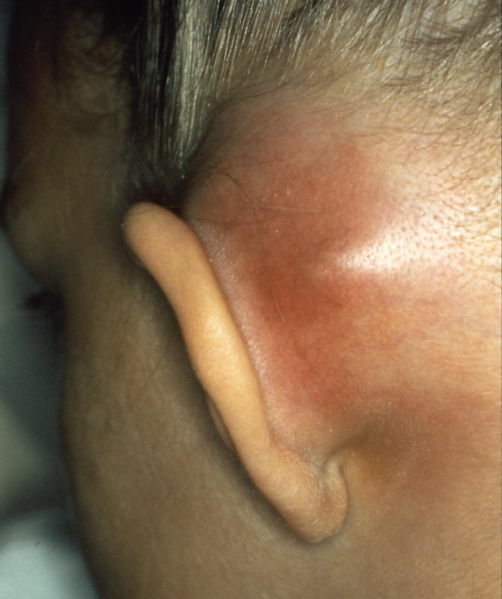 Fever and ear pain should be expected for 24 to 48 hours after an ED evaluation. If symptoms persist 72 hours after antibiotic therapy has been initiated, reevaluation is needed. Routine, scheduled visits are not recommended for uncomplicated acute otitis media if symptoms have resolved. An improvement should be evident by 2-3 days. Treatment failure may indicate incorrect diagnosis, development of a complication or presence of a resistant organism. If the initial treatment was amoxycillin, change to amoxycillin/calvulanate. All children should be reviewed by the local doctor at 2 weeks for presence of a persistent effusion (glue ear) or healing of the tympanic membrane (if ruptured). ENT consultation is advised for children with persistent hearing loss or speech delay, chronic effusion for more than 3 months, frequent episodes of otitis media or underlying pathology such as cleft palate or adenoidal hypertrophy. One Response to "Otitis media"
Q: What’s the nickname for someone who put their right hand in the mouth of a T-Rex?